One hard to ignore the thing that we all are witnessing nowadays is the convergence of the real and the virtual worlds. Retail is one of the biggest industries, and shopping cart abandonment is one of its biggest problems. Today, let’s see how to approach this convergence, and what to expect from a Magento eCommerce development company in this regard. Ask any novice as which is the best eCommerce platform. You are most likely to get this only answer: Magento. Magento claims to handle over $100 billion in gross merchandise volume. Hence, Magento and Magento developers in particulars, shoulder a great responsibility of enabling retailers to connect with their potential shoppers/customers, and drive growth delivering a superior customer experience. Today the demand is of an experience-based shopping site. Shoppers should leave the website with an experience that is pleasant and unforgettable. It should make them come back for their next purchase. Here is how to curb some greatest obstacles to this experience-based shopping. Remember, filing the checkout form is only a step in the path, it’s not the goal of your customer. He or she is not filling a query form to take any service or request for a demo or something. Hence, ask your Magento developers to go with the minimalist principle curtailing the unnecessary steps from the checkout. Also, the customer acquisition philosophy must be different in case of a return customer. When he or she is committed to your brand, you must reciprocate it with a better user experience. In that case, the checkout process can be reduced further as the shipping, payment, and other information are already available with you. Simply, you may ask if a customer is willing to continue with the previous record or an updated one. Forget about a poor mobile experience. Even if your ecommerce site delivers a web user experience near good, i.e., below 70% as per Google Mobile-Friendly Test, it’s unacceptable. Customers are most likely to quit your digital store or move to that of your competitor’s. This mobile test alerts you of critical performance and security errors, and recommends you of remedies that can make a difference to the customer experience. Delivering a superior experience is critical but, unfortunately, only few eCommerce development companies have championed it. Though there are enough resources to the likes of Google’s AMP (Amplified Mobile Pages) to make that happen, there is lack of determination in getting that executed. This apathy towards eCommerce enhancement costs a lot. A website that loads slowly or doesn’t allow customers to access information effortlessly is often rejected. 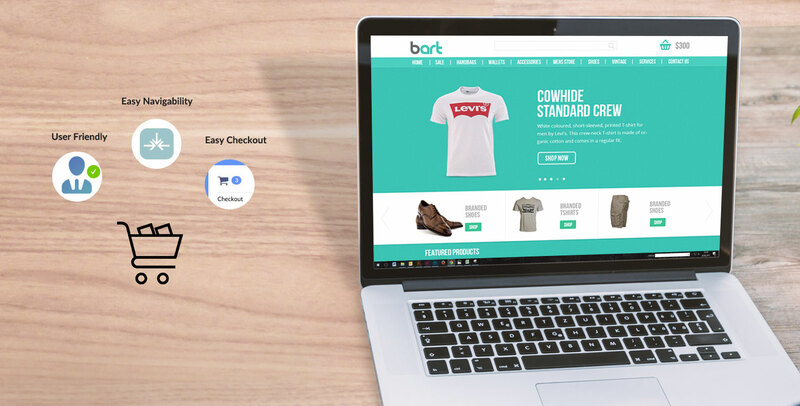 So, you created an impressive store burning the midnight oil, or got it built externally from a Magento eCommerce development company paying a handsome amount, but what if users are not able to see the direction where to go next after coming to a page or product. Keeping an add to cart and checkout option closer to your product is a good idea, but customers are less likely to take the action you want unless they are made to do so. Hence, apply effective and clear CTA (call to action) to maximize customer acquisition and check shopping cart abandonment. Relevancy matters a lot to your shoppers. At a time,when customer’s expectation knows no bounds, resorting to a data-driven business practice is a must. Most of the startup retailers, or even the established ones fail due to not-so-effective user analysis. Why is it necessary? The better you know about your prospects or customers, the better you can organize your store and inventory and better manage your supply chain and logistics. Hence, make use of the right Magento eCommerce analytics to track GEO stats, traffic sources, user behavior, real-time analysis, keyword-based traffic, etc. With customer experience becoming the battlefield, it’s essential that retailers take cognizance of the eCommerce bottlenecks and align the technologies as per the shopper’s expectation and market challenges. Magento is a reliable eCommerce platform, there is no debate, but from where does it derive the power. Yes, it’s the customer experience design.